60 Rayovac batteries on the Xcell card label, Size 13 Zinc Air Hearing Aid Batteries MERCURY FREE. Rayovac Hearing Aid Batteries, are the best selling brand and they claim to have the world's longest lasting hearing aid batteries. Rayovac zinc air batteries come under several names including the xcell label. All these batteries are the same exact quality as other Rayovac MERCURY FREE hearing aid batteries , only the sub-brand name differs. What matters to the end user is price, service, selection and quality. Quality and battery duration is identical to Rayovac Proline or Extra Advanced Mercury Free. 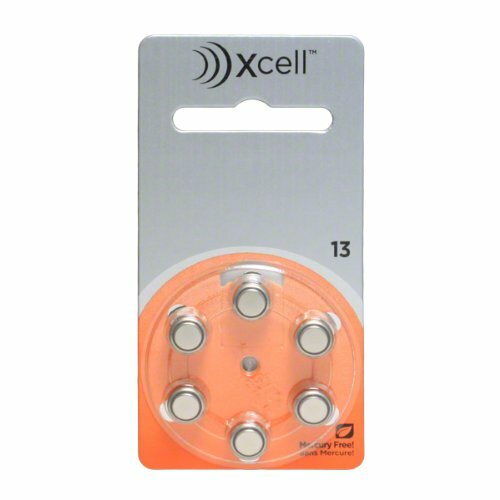 Xcell label hearing aid batteries are made by Rayovac.